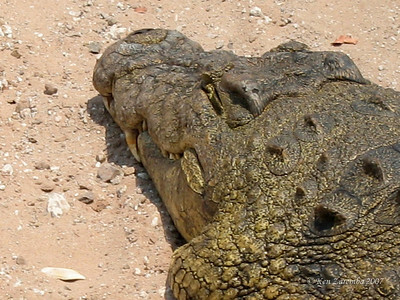 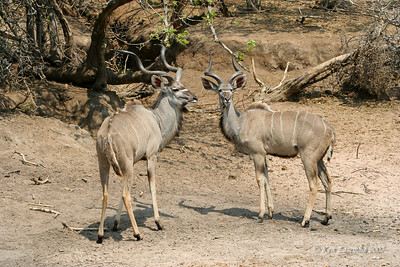 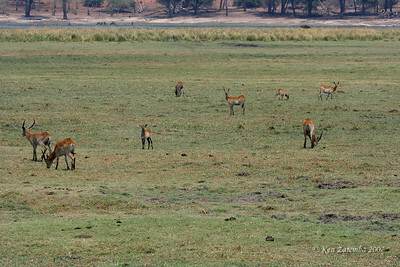 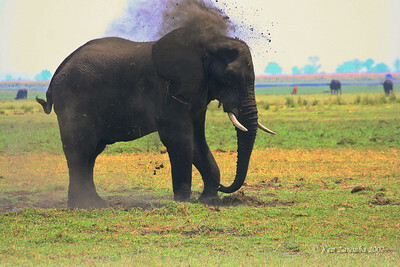 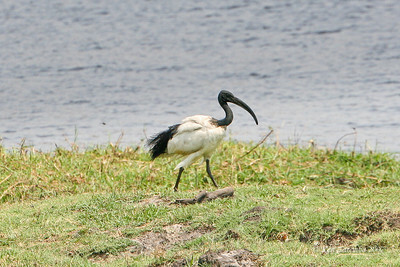 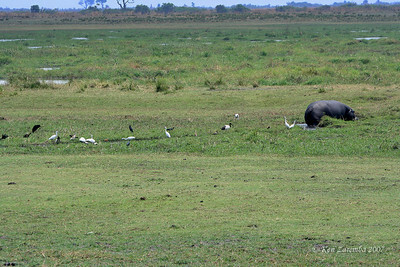 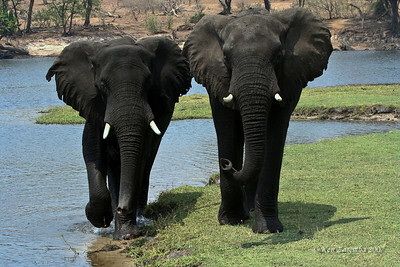 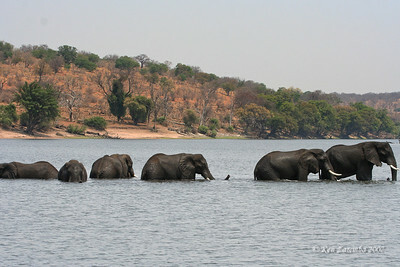 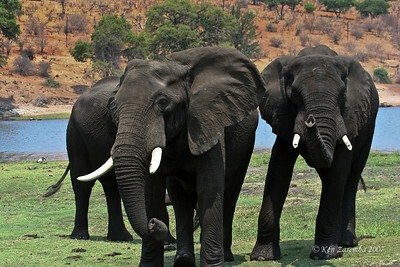 Creatures of Chobe National Park in Botswana. 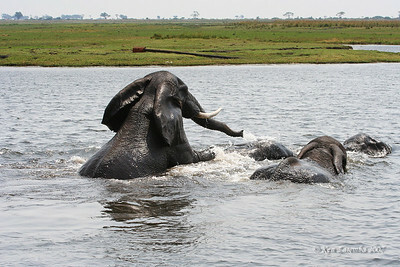 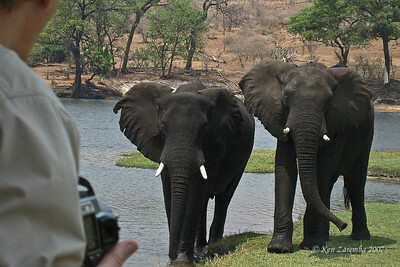 Two young elephants very close to our boat. 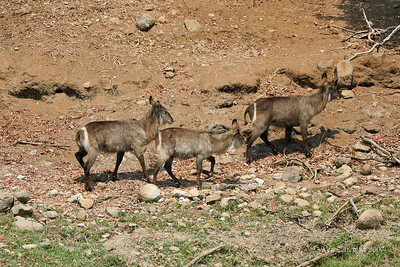 The spread ears says they aen't happy with our approaching them. 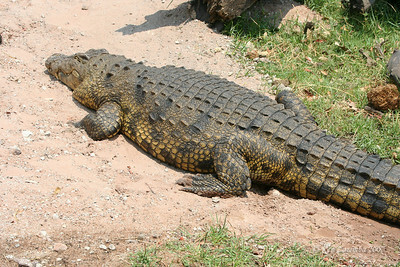 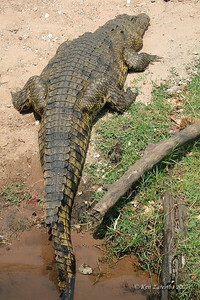 Big fat Nile Crocadile soaking up some sun. 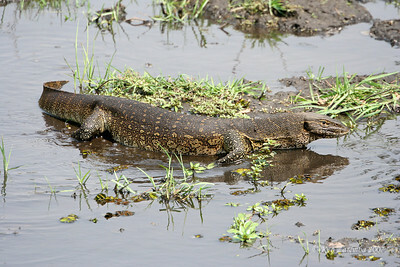 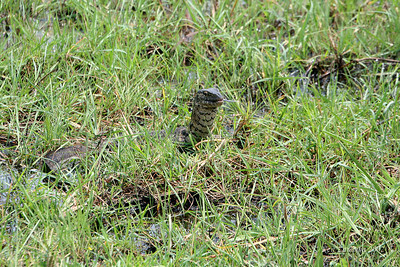 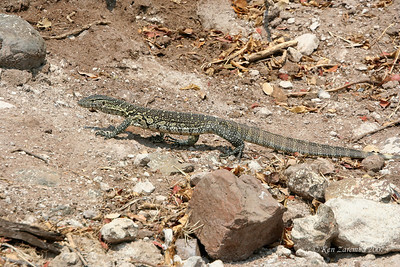 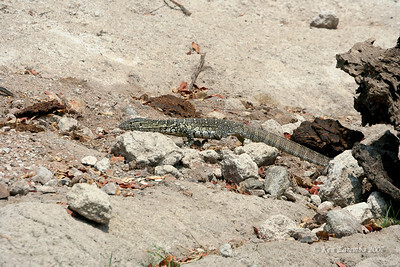 A Nile Monitor Lizard searching for some eggs to eat. 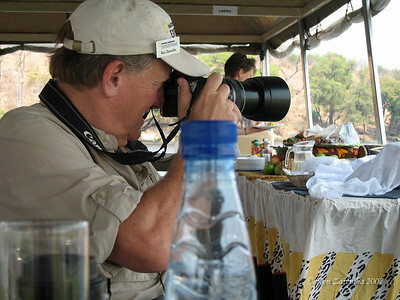 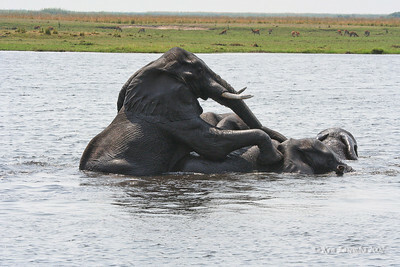 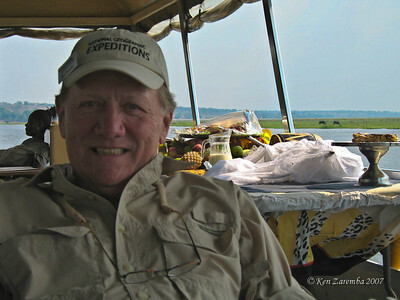 Kicking back on the Chobe delta river cruise. 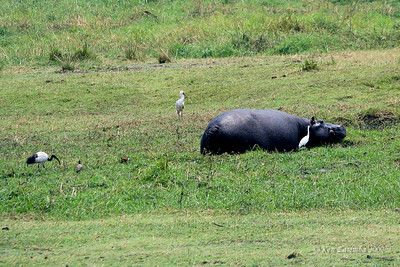 Check out all that food behind me. 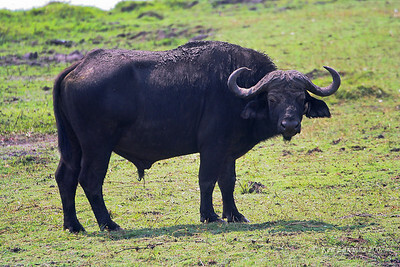 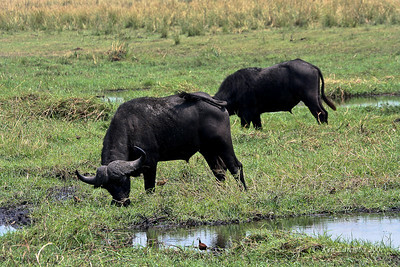 Big mean looking African (Cape) Buffalo.